Things to do with your Amazon echo - get the most out of Alexa! Echo is the smart speaker from Amazon. It can answer a wide range of questions and do a lot of tasks for you, including your home automation. In this article, we cover a few things that you can do with your echo smart speaker. Make sure to install the Amazon Alexa app on your smartphone to get the most out of this article. There are a few of ways to add items to your to-do and shopping lists. You can say, "Alexa, create a new to-do." She will then ask you what the to-do is. Whatever you say after that will be added as a line item to the list. You can also be more direct and say, "Alexa, add 'go to the gym' to my to-do list." If you're at home and want to get a ride somewhere, you can ask Alexa to get you an Uber or a Lyft. You need to install either the Uber or Lyft skill first. Here's how to book a ride with Echo. Tap the menu button on the top-left of the app. Search for Uber or Lyft. Tap Enable Skill and link your Lyft or Uber account. Now ask Lyft or Uber for a ride by speaking "Alexa, ask Lyft for a ride" or "Alexa, ask Uber to request a ride." You can ask Alexa to remind you to do things, too. Say "Alexa, remind me to buy milk," or whatever you need a reminder for. Alexa will ask when it should remind you. 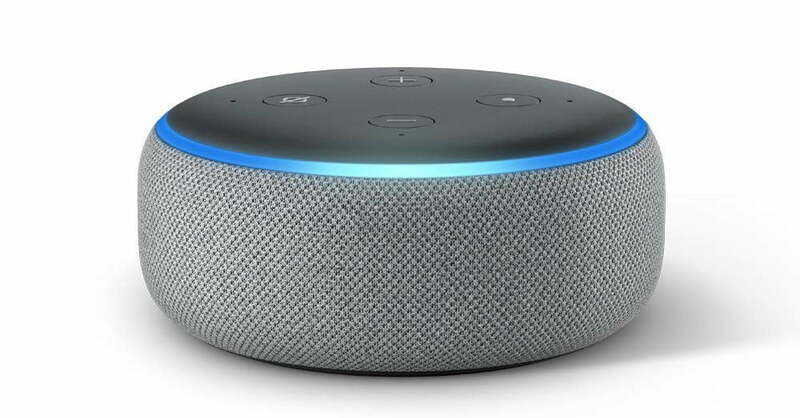 Say something like "Today at 3 p.m."
Alexa will confirm that it will remind you at the pre-set time. You can view, edit or add reminders in the Alexa app by tapping the menu button and selecting "Reminders & Alarms." Say, Alexa set an oven timer for 30 minutes. Then speak another timer, like, "Set a fridge timer for 1 hour." You can check in a timer by saying "Alexa, what's the oven timer?" Or "Alexa, what's the fridge timer?" Alexa will alert you when the specific timer has ended. Amazon recently launched a new Alexa featured called "Routines." When you speak a certain preset command, like "Alexa, good morning," you can set Alexa to perform certain actions, like read you the weather, start playing music and tell you how long it will take you to get to work. Here's how to create a custom morning routine, but you can change any of these steps to make something else, too. Tap the top button that says "When this happens." Enter the phrase "Good morning." Now tap "Add action" again. Enter in an artist, like Bruce Springsteen. Choose your music provider, such as Spotify. If you own a Fire TV, you can connect your Echo to the Fire TV so that you can ask Alexa to play specific shows or movies. You don't even have to touch the remote. Tap the menu button on the top left of the page. Tap the + button next to Fire TV. Choose the Fire TV in your house you'd like to link your Echo with. Choose the Alexa devices to link the Fire TV with. You can select multiple Echos. Now speak a command like, "Play The Last Kingdom on Fire TV." You can use your Echo to order goods from Amazon. Say something like, "Alexa order soap." Alexa will begin to list items that you might be interested in, including products from previous orders, and the price. Say "yes" to confirm you'd like to buy that item, or "no" to hear another item Alexa recommends. Tell Alexa to stop if you don't want to hear more recommendations. You can also order specific goods by speaking something like "Alexa, order me an Amazon Echo Plus." Alexa will confirm the price before you decide to buy it or not. Say "Alexa make an announcement." Speak your announcement by saying something like "Hey everyone, dinner's ready!" Alexa will make an announcement to all of the Echos in your house with the message you spoke. Tap the menu button then tap "Contacts." Or you can call your contact's Echo by saying "Call Erck Mayor's Echo." Say "Alexa, send a voice message to Todd Haselton." Alexa will confirm you want to send the message. If you've received a message, say "Alexa, listen to my messages." Toggle the news sites you want to hear news from and tap "+" to add new sources. Now, say, "Alexa play my flash briefing." Alexa will give you the highlight news from the sources you've picked. Tap Devices icon on the bottom-right. It looks like a little house. Tap the + button on the top-right. Tap "Add Multi-Room Music speakers." Create a group name, such as "Downstairs." Choose the Echos you want to include in the group, then tap "Save." Now, you can speak something like "Alexa, play Beethoven downstairs," and Alexa will play music on the speakers in that group. we've covered a lot here, but really that's just a taste of what you can do with an Amazon Echo in your home. You can dig deeper into the steps above to discover more of what you can do with the Echo. How do you use your echo for ? tell us in the comments.